Our recommendation for the best garden kneeler is the Trademark Innovations Garden Kneeler & Seat. Yet this piece of equipment is just one of many garden kneelers you can purchase to make the work in your garden a lot more comfortable. We’ve listed a few other options for your consideration here, as well as a few reasons why looking into a garden kneeler can be beneficial. What is a Garden Kneeler? A garden kneeler is essentially a simple, thick pad that you set down and place your knees on while you garden. Their purpose is not unlike the purpose behind a set of gardening knee pads. That is, a good garden kneeler will provide your knees with protection from wear and tear. The main difference between a garden kneeler and garden pads, of course, is that you don’t have to worry about strapping something around your knees prior to its usage. As such, some people may find that garden kneelers offer up a little more comfort than their knee pad counterparts. As you can guess, the basic functionality behind a garden kneeler is pretty rudimentary. However, that doesn’t mean that they’re all the same. In fact, the world of garden kneelers are divided into two very distinct factions: Garden kneeler pads and garden kneeler benches. Garden kneeler pads are simple to use, just because they’re so easy to set up. Essentially, all you need to do is place the thick mat in front of wherever you’re planning on working, and you’re good to go. These pads also tend to have additional benefits. Their size and portability make them versatile enough to be used in other capacities, such as a yoga mat. 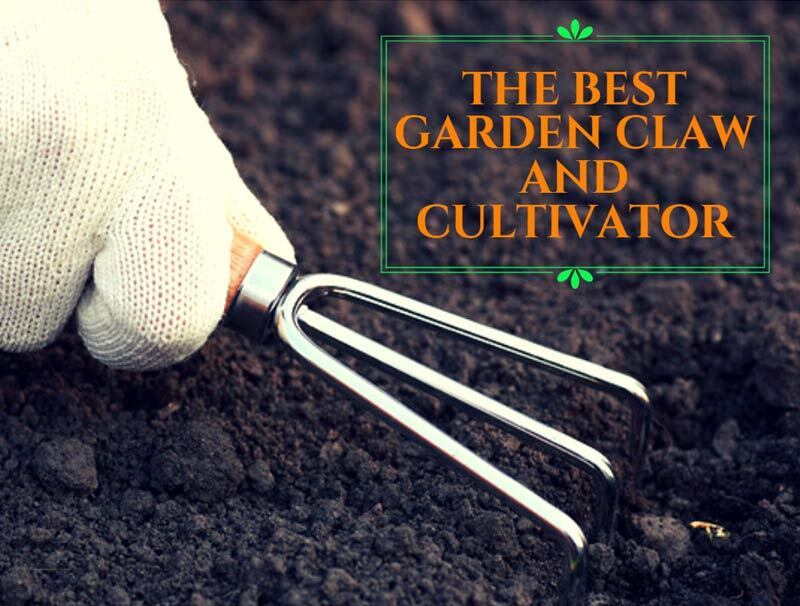 And from a purely aesthetics perspective, garden kneelers come in a wide array of colors and styles, making it easy for you to incorporate a sense of personal style into your gardening routine. The one downside to using a gardening kneeler pad is that they can sometimes be a bit too bulky. This may be a problem if your garden is in a tight space. Garden kneeler benches, on the other hand, are a little more complex. However, they add a little extra sense of versatility that you simply don’t get from a basic kneeling pad. The key to this versatility is the frame that surrounds the flat bench. Because of the framework, you can use it to kneel on its padded base, but you can also flip it upside down where the pad is elevated. Thus, you can use it as a bench. The ability to turn the kneeler into a bench offers an advantage to gardeners that have a garden that features tall plants. Using the bench may help to get the plants that need pruning or similar care at eye-level. This could result in more efficient plant maintenance. The added innovation of a bench comes equipped with a few other accoutrements that could please the serious gardener. For one thing, it’s not uncommon for the kneeling bench to have a storage pouch of some kind attached to the frame, making it easy for you to access your various gardening tools. What’s more, the frame that surrounds the bench can also double as handles. If you have trouble getting down or getting up from a kneeling position, this added touch may go a long way to add some efficiency to your gardening process. Granted, these benches tend to be a little more utilitarian in their aesthetic compared to their kneeler pad counterparts. However, if you’re serious enough about your gardening to use this device, this is probably small potatoes in the grand scheme of things. While there’s nothing more to do with a basic garden kneeler outside of placing the item on the ground before you kneel, the devices that feature handles do take a little extra effort to use. Fortunately, the effort that’s required isn’t all that laborious, as this video demonstrates. The short answer that blankets the sentiment of garden kneeler benefits is that they save wear and tear on your knees. Indeed, that is a major benefit, because we all know that knee pain is no fun to deal with. However, to fully appreciate the benefit of having either a kneeling pad or a kneeling bench at your disposal, you need to consider the kind of ailments it may prevent. One of the more common ailments that this important piece of equipment can prevent is bursitis. This inflammatory condition occurs when the small, fluid-filled sacs that naturally cushion the knee from the inside swell up. This could cause conditions ranging from mild stuff like stiffness to more serious symptoms like disabling joint pain. Another condition that could be prevented with a garden kneeler is tendonitis. Much like bursitis, tendonitis is an inflammatory condition, the difference being that the condition is connected to the tendons that connect the knee muscles to the bone. This condition could cause pain that starts off mild, but could downgrade into severe realms if left untreated. A third condition you could prevent with garden kneelers is known as plica syndrome. This condition directly affects the size and shape of the knee ligaments, causing them to grow overly thick or become unnaturally folded. While this condition doesn’t necessarily equate to pain, but it certain cases, it can become excruciating. Patellofemoral pain syndrome, which is sometimes known as “runner’s knee,” could also develop without the use of a garden kneeler. This condition is marked by the presence of pain that concentrates in front of the kneecap. While this condition causes pain, the hurting can usually be subdued with mild treatment. On the other end of this spectrum stands the meniscus; the piece of knee cartilage that acts to stabilize and cushion the joint. Constant exposure to rough, unpadded terrain could lead to a meniscus tear; a condition that may result in the need for surgery. You can never have too many tools if you’re a gardener. Because of this mindset, we tend to lean toward the side of the garden kneeler bench side of the pad vs. bench debate. A good garden kneeler bench like the Trader Innovations Garden Kneeler & Seat will provide you with the versatility to tend to your garden from root to branch, in a manner that will save your knees and other parts of your body. If you have a lot of tall plants, sitting on a kneeler bench may prevent you from constantly bending over to tend to your plants properly. This may save a little wear and tear on your back, which is a good thing. After all, a bad back could open up a whole flood of other health problems. Remember – your health is every bit as important as the health of your garden. As such, it is critical that you take whatever steps you need to take care of yourself. If you don’t, you may not be able to take care of your garden, and that would be pretty terrible.